To all that may have known, it is with my greatest sympathy and sadness to pass that on April 14, 2002, the young life of Scot Allen Scurlock was passed. Not only a fellow shipmate, but the very best friend anyone could ask for. Not only is he missed greatly, but the memories and good times can no one ever take away. Recently graduating from FS 'A' School, Allen was the kind of person you only had to know for a day, or even hours, to realize what such a great life has gone before us. Not only to myself, but the impact he has had on others is, by far, the motavation I have that keeps me going everyday. As we reflect upon those memories and good times, just remember the smiles that come with them. Allen is deeply missed and will always be carried in our hearts. 05/28/02 Submitted by: Kristen Matkowski. Information is being sought regarding this person. 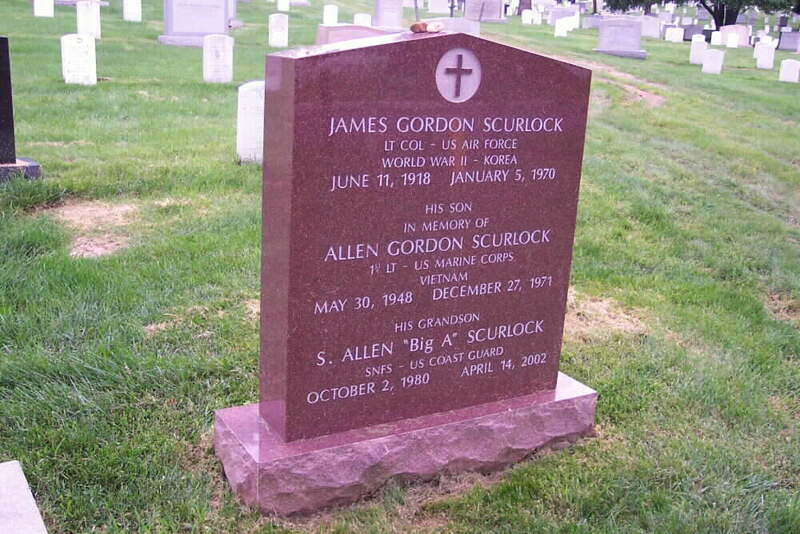 He is buried in Section 6 of Arlington National Cemetery with other family members. Should you possess such information, kindly contact the Webmaster.